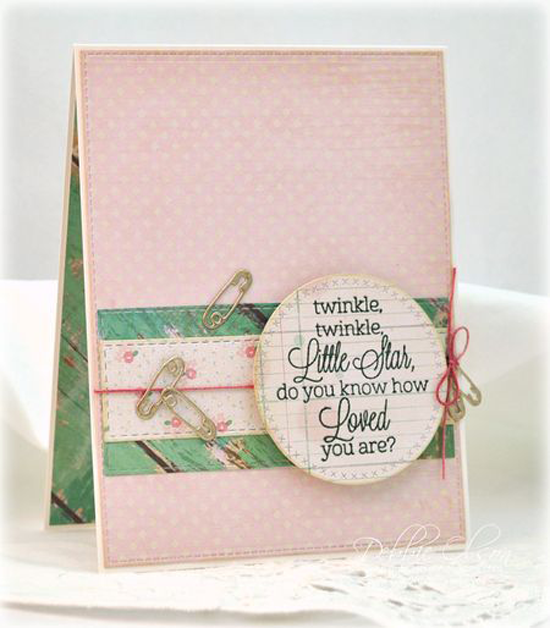 Design Team Member Lisa Johnson spotted Debbie's project on her blog as an entry for Sketch 252. 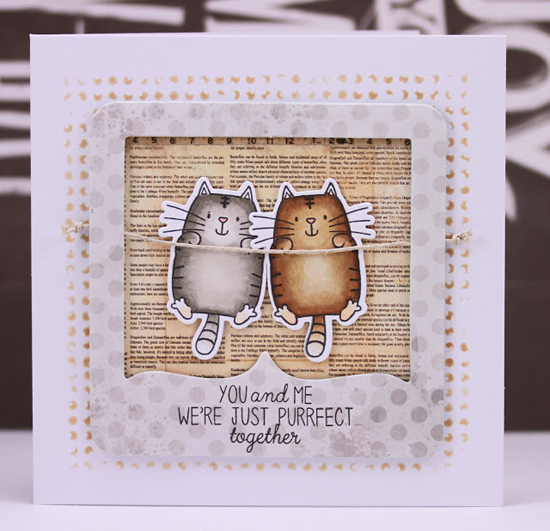 Debbie has a friend who is expecting twins next week, so she pulled out our Beautiful Baby stamp set and the Oh Baby Die-namics to create this absolutely soft and pretty design. I spotted Anna's absolutely sweet, imaginative, and adorable mini-book in the My Favorite Things Facebook Group and on Instagram, too. I followed links to her blog where I found this story behind her mini book. "My big project for October was this mini book with the story about a little mouse Vanya (my daughter gave him such name). I used mostly the Harvest Mouse set by My Favorite Things. And this is the story how Vanya woke up one day and saw the snow. And how he prepared for Christmas with his friends. This book has no words, so mom can tell the unique story every time. The mini book has eight pages and the size is 4.25×5.5 inches." I just can't get over how SWEET this is! 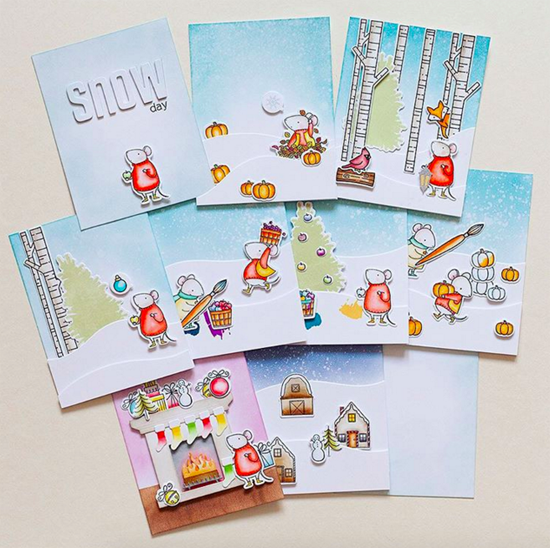 Challenge Team Member Jill Dewey Hawkins found Arte's cuddly little card with cute kitties (from the I Knead You stamp set) as an entry for our Card Design Superstar contest back in September. That card contest has so many hidden gems in it! And as Jill says, "Goodness, she makes some cute stuff. :)"
I spotted Jung's gorgeous layout on the Butterfly Reflections Ink blog. I just love seeing our product used as accents in scrapbooking! 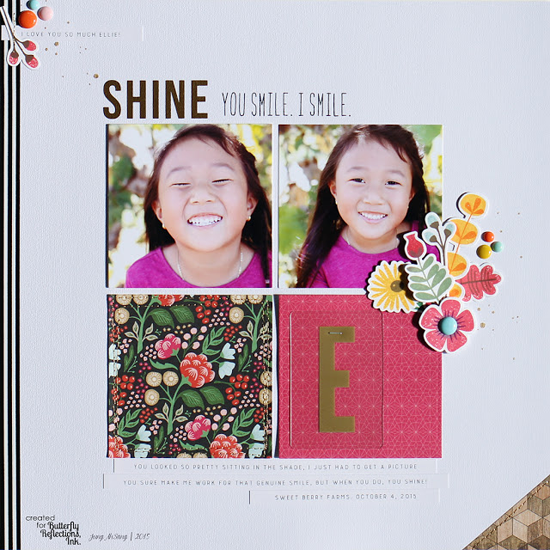 Jung's use of our Fall Florals stamp set and Die-namics is absolutely stunning — from her color choices, to the dimension she created with foam tape, to the added embellishments — this design is absolutely scrumptious! Design Team Member Donna Mikasa spotted Wiebke's card in the MFT Flickr group. As Donna says, this design is "So simple, yet eyecatching!" 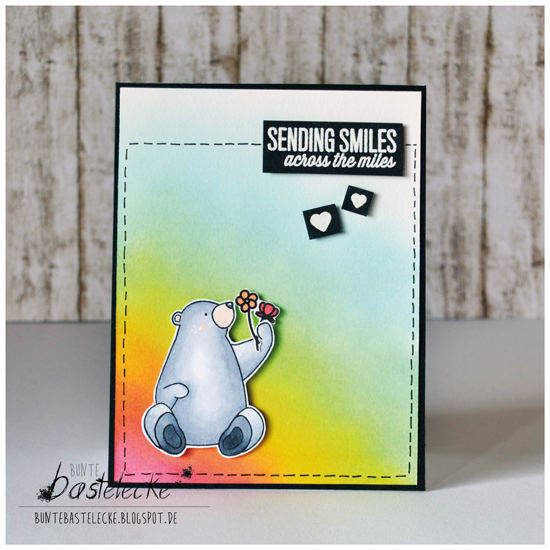 The sweet bear from the Birthday Bears stamp set looks straight up at the sentiment and captures our hearts in the meantime. Thanks for using MFT, ladies! You've left us inspired, and that's what it's all about! 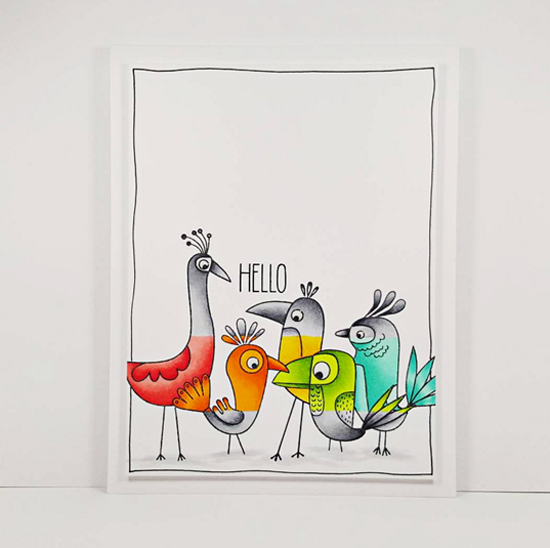 See you tomorrow for the next Sketch Challenge, and look for a new MFT Color Challenge this Thursday, November 12th! These are all so pretty! I'm amazed by Anna'a creative mini book, so fabulous! Congratulations, everyone, on being SPOTTED! These are some really great projects! Fabulous projects, each and every one of them. I am particularly drawn to the story book, how clever and gorgeous. Cheers! Oh thank you so much for picking my book! Always so excited to see what is your choice another week!